Pet ID Tags - $3.49 Pet Tags....Identify and protect your best friends. Visit their home page and explore their publications of Daily Word, Unity Magazine, new product catalogue, Silent Unity 24-hour prayer line and retreats. The word Quartus denotes the four-square aspects of each individual: spiritual, mental, emotional, physical. The Foundation is a research and communication organization with the stated purpose of probing the mysteries of Ageless Wisdom and integrating those interminable truths with esoteric psychology and spiritual meta-physics. The results: a philosophy of life that is both practical and rewarding. Louise L. Hay is a metaphysical teacher and the bestselling author of 18 books. Since beginning her career as a Science of Mind minister in 1981, she has assisted thousands of people in discovering and using the full potential of their own creative powers for personal growth and self-healing. Science of Mind is a correlation of laws of science, opinions of philosophy, and revelations of religion applied to the needs and aspirations of humankind. A practical teaching, it helps thousands of people experience health, happiness, peace and love. The internet supersite for Self Improvement and Personal Growth. Webhealing.com provides multiple interactive resources useful in healing from loss. These include the first web memorial the "Place to Honor Grief", chat, and a variety of interactive loss related discussions. Webhealing.com has received the "Grohol Best of the Web/Mental Health" and the "Britanica Internet Guide Award." GriefNet is an Internet community of persons dealing with grief, death and major loss. There are 37 email support groups and two web sites.Their integrated approach to on line grief support provides help to people working through loss and grief issues of all kinds. Their companion site, KIDSAID, provides a safe environment for kids and their parents to find information and ask questions. Marty Tousley, RN, MS, CS is a certified hospice bereavement counselor and author who specializes in pet loss. This site offers information, comfort and support to those who are anticipating or coping with the loss of a loved one, whether that is a person or a cherished companion animal. The site includes articles written by the author on various aspects of loss, inspirational poetry and writings by other noted authors, a Message Board, and dozens of links to many other helpful sites on loss. Recipient of the 2002-2003 Golden Web Award for excellence in design and originality. Author of Where Does God Live? Susan Chernak McElroy, Speaker, Facilitator and Author of Animals As Teachers and Healers as well as other fine books. Linda and Allen Anderson have a wonderful inspirational newsletter and comprehensive site. 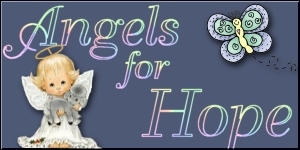 Their Angel Animals Network is dedicated to show the human/animal deep spiritual bond through books, articles, columns, presentations, and newsletters. Jim Connolly - Learn the secrets behind the most successful people in business right now; with FREE access to stacks of Jim Connolly's most powerful material, here on his official web site! The 'free stuff' section of this site is a goldmine! It's packed with proven strategies, which you can use right now to immediately transform your results! Free audio programmes, free articles - in fact, everything in this section is FREE - So take a look now by clicking here! PAWS 'N' REFLECT, a website highlighting Dogs, Cats, Humor and Reflection. PAWS for people who wish to PAWS 'N' RELECT. We inform, inspire and entertain. It ALWAYS REIGNS CATS and DOGS. Feline Fanatic - Read about Cat Care, History and Lore, The Elderly Cat, Feral Cats, T-N-R, Hoarding, Feline Facts, and more. Our goal is to inform, inspire and entertain. Dogs for the Deaf, Inc., USA - We rescue dogs and professionally train them to be hearing dogs for people who are deaf or hard of hearing. Kitty Sites - The cat lover's directory - If you are looking for a cat related site, you have come to the right place! Pigs 4 Ever - Vietnamese pot bellied pig resources. Signs With An Attitude - signswithanattitude.com offers a wide variety of signs for animals, pets, dogs, cats, birds, horses, reptiles, etc. Signs are made of aluminum. Puppyfight.com - Puppy pictures of adorable dogs are available here and now. Your Pet Pics - Show off your Pet Photos! Visit Your Pet Pics where every pet is a star. Ultimutt.com - Ultimutt products are a whole new way of expressing yourself! Our stunning dog photos paired with perfectly matching quotes are guaranteed to warm hearts, tickle ribs, inspire and comfort. 2DogsTruckin - An informational resource for people who love dogs. This site is dedicated to dog and cat rescue and educating folks about responsible pet ownership. The site owners also run the Empathy Program Lab Rescue. Donna's Pet Shop The online place for Pet supplies, information and Home made Pet food recipes. Great prices and selection, everyday 24/7. Chestnut Creek Gift Baskets - Chestnut Creek Gift Baskets offers top quality, unique holiday gift baskets. Baskets For Her - Gift baskets designed exclusively for Women - the perfect women's gifts. Chantima's Creative Keepsakes High quality personalized gifts and favors including handcrafted angels, bubbles, mint books, candy wrappers and bookmarks for all occasions. Corporate Gift Pros - Promotional product and corporate gifts to make your company stand out. The finest corporate gifts for business gifts, holidays and incentives. Gift Basket Boutique - Gift baskets and corporate gift baskets to make your company stand out. The Online Shopping Mall - The On-line Shopping Mall offers a great online shopping experience at hundreds of well known stores and shops as well as FREE news, recipes, software, horoscopes, e-cards, movie reviews, classified ads, e-mail, weather and much more. Agora Gallery - Contemporary fine art gallery located in Soho , New York City. Art consulting services to private and corporate collectors. Exhibitions of paintings , sculpture and photography. Artist portfolios are reviewed. DecoRockArt, Paintings on rocks and other surfaces by decorative artist Lee Wismer. Frederique Lavios Studio - Gorgeous hand-painted ceramics. Each piece is one of a kind! Artist Terry Adamick - Photo Prints, Art Prints, Pet Portraits, Greeting Cards, Coloring Book, Children's Book and more by Artist, Terry Adamick. Online Obituaries - Eternal Flames is an online obituary posted in perpetuity. Create your own online memorial with photos, music and a lovely background. ForPetsake.com - Your online resource for pet related information. Dogpages.net - A free search engine and directory strictly related to dog websites. Pet Products -MyPetOutlet - Your complete pet supplies store online for dogs, cats, birds and every aspect of your pets' life. Huge warehouse selection of dog supplies and cat supplies including wholesale dog toys and cat toys. Quality pet supply at discount prices, My Pet Outlet. Shutterfly - Create a personalized pet photo book. Portland Pet Sitters - A pet sitting resources. This site lists available pet sitters in Oregon, located by city. This is a very useful site. DOG COLLARS - Get here dog collars, dog harnesses, dog muzzles, leashes and dog training equipment for your working and active dog. Karen Anderson is a fantastic animal communicator. I took one of her workshops and can attest to her competence and sensitivity. Be sure to visit her website for extensive information on animal communication and to learn more about her. Cyrille Juberts fantastic dog paintings in watercolour. If you are looking for a masterpiece then look no further! Rianne Collignon - Compassionate and accurate Psychic, Tarot and Oracle Readings. Energy Healing Sessions. Free exercises for Psychic Development and Holistic Healing. Try our Spiritual Fellowship for Support, newsletters and meeting other Spiritual people. Martha St.Claire - Martha St. Claire, M.A., Destination Light, Resources for you -My wondrous near-death experiences have filled me with a passionate and sacred desire to share the magnificient love and blessings that our Mother-Father God has for each one of us. I offer down-to-earth services that can truly heal, transform, and accelerate your life's journey. Dog and Cat and other Pet Supplies Online Pet Supplies, Toys, Medicines, Comfort, Safety, Beds, Strollers, Heaters, Clothing, Shampoos, Furniture, Great! Cat Dog and other pets products delivered to your door! High! Quality products delivered to your door! One of Kind! Products delivered to your door! Tashi's Site including "In Memory of Calidad"
A great site for animal information about dogs, cats, birds, horses, domestic animals, reptiles, wildlife, aquatic animals and animal rescue. You can submit your site, join the "Rescue Dogs" Webring or shine a star for your pet on the rainbow bridge.